Minnesota played to a 1-1 draw with the New York Cosmos in front of a record crowd of 9,317 at the National Sports Center Stadium. 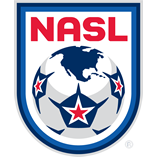 United striker Pablo Campos scored his 50th goal in the NASL to give the Loons the early lead only to see the game leveled in the 90th minute by Spanish striker Raúl. What started as a disappointing week for the Loons turned into an exciting weekend for United, playing the New York Cosmos in front of a sellout crowd for the fourth time this Season. The Loons needed three points from the match to challenge for the Spring Season title, while the Cosmos were looking for a crucial point to secure their place atop the Spring Season standings. "The guys put in a performance tonight that deserved three points," Minnesota United Head Coach Manny Lagos said. "I thought they dealt with the game so well, it's a tough one to swallow." The first five minutes of the match were a back-and-forth affair, as both teams tried to get a feel for one another and find space in the final third. The Loons struck first, finding the back of the net in the ninth minute from the head of Pablo Campos. Carlos Mendes chipped at the heels of Campos just beyond midfield and the center official whistled for a foul. Kevin Venegas then stood over the ball and delivered a sweet cross to the forehead of Campos, who made no mistake, putting it out of the reach of Jimmy Maurer and into the back of the net. It was Campos’s 50th goal in the NASL, extending his already impressive league-leading goal record. The Cosmos looked to find an equalizer with the remaining minutes of the first half, but the Loons' defense held strong. United also pressured in what was an exciting half on both ends of the pitch. Aaron Pitchkolan nearly found another for the Loons with a shot just wide of the far bar in the 14th minute, and good play by goalkeeper Sammy Ndjock left New York frustrated heading into the locker room for halftime. "Tonight showed a lot of what we are and the quality we have and the potential for this season,” said Lagos. “We were very good tonight and it’s important for us to embrace the quality soccer we showed tonight." The Loons came out of the locker room firing on all cylinders and nearly notched a goal straight out of the gates. Miguel Ibarra took the ball repeatedly at Cosmos right back Hunter Gorskie, continually finding space and playing it into a dangerous area. Just one minute into the half, his ball found Daniel Mendes, who took a few swings at it and nearly found pay dirt for the Loons. 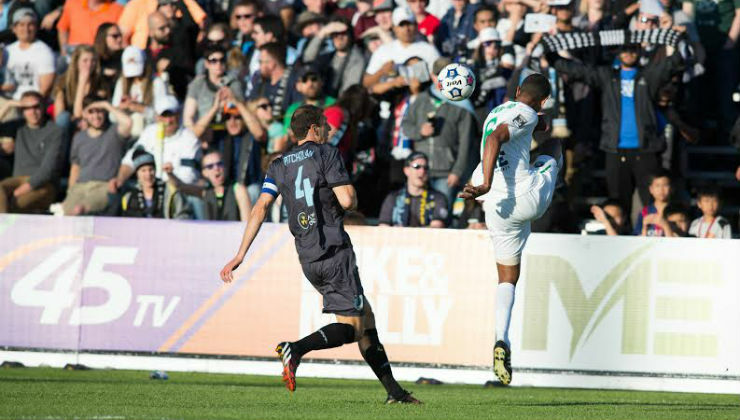 With several attacks led by former San Antonio Scorpions midfielder Walter Restrepo, the Cosmos looked to strike back. Restrepo took the game at Justin Davis, drawing fouls and making things difficult for the Loons. Over a ten-minute stretch, the Cosmos earned four free kicks and drove the ball into the box nearer and nearer to finding a way through. Restrepo was replaced by Sebastian Guenzatti in the 68th minute, as the Cosmos continued to look for a way back into the match. The Loons took advantage of the replacement, once again finding Miguel Ibarra on the left side of the pitch and running at the Cosmos defenders. The next ten minutes belonged to United, who controlled the ball and threatened for another goal. Campos created an opportunity for the Loons to put the game to bed early in the 71st minute, breaking tackles and stumbling along the far sideline in what looked like an inevitable goal run. He played the ball high across the box to Juliano Vicentini, who knocked it down and back to Ibson, who couldn’t control his shot and hit it wide. With just one minute to play heading into stoppage time, the Cosmos finally found their way through the Loons' defense, following a frustrating 80 minutes trailing. The Cosmos earned a free kick near the midline and played it short to Andres Flores. Flores struck a high ball into the box that fell sweetly on the chest of Raul, who tucked it away into the far bar. It was one of just a few touches for the Spanish legend, but enough to steal three points from the Loons and effectively end their Spring Season Championship hopes. "Every game is a championship game in the Spring Season," Minnesota United defender Kevin Venegas said. "Tonight feels like a loss even though the scoreline says 1-1. We all knew what was riding on tonight's game, but that's just the way the game goes sometimes." With a 1-1 draw, United sits third in the NASL standings. Two matches remain for the Loons, who will look to rebound and find form entering the Fall Season.